After a long last few days dealing with an illness in the family, Patty and I decided to get a drink and some good food on Saturday night. I wanted a juicy burger and great, fresh beer. 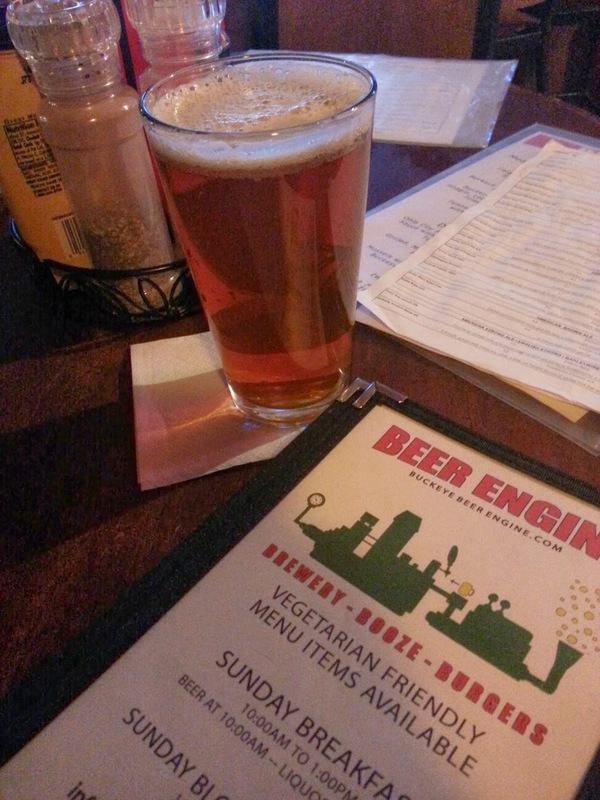 Since we were in downtown Cleveland, we decided to head to Buckeye Beer Engine in a nearby suburb on the lake, Lakewood. 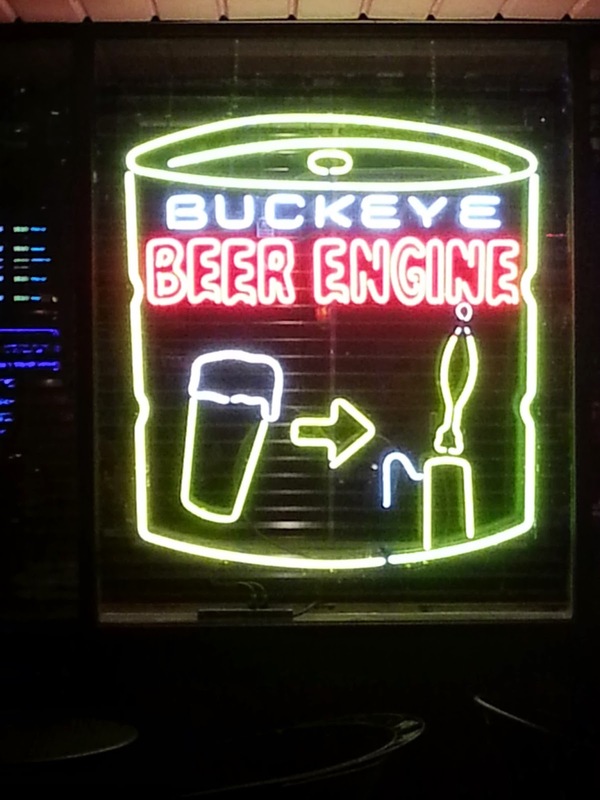 I have been to Buckeye Beer Engine a few times before and I have never been disappointed. It has the feel of a neighborhood dive bar, that prides itself on a sizeable menu focused largely around gourmet burgers and sandwiches. Its truly a solid microbrewery, maybe a nano-brewery. 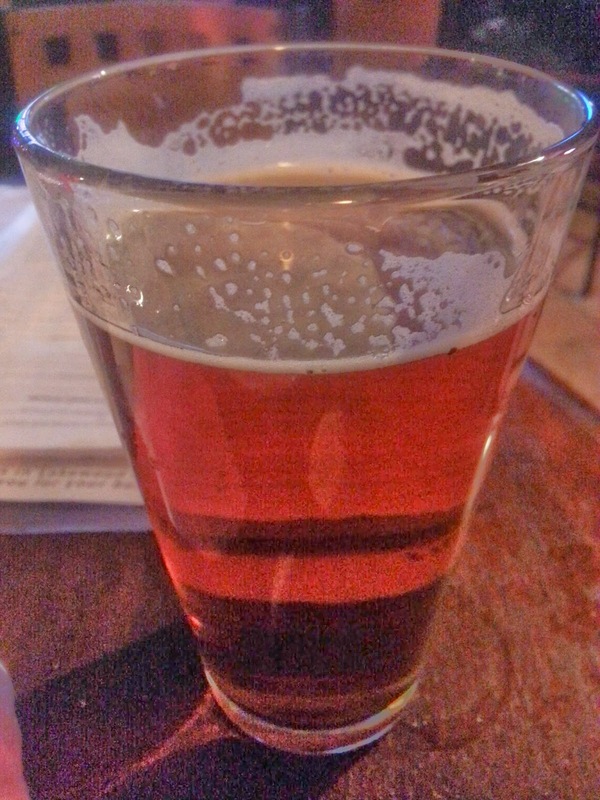 It has distribution of its most famous brew, Hippie IPA, mainly in Ohio but not sure where else. Buckeye Beer Engine Big Board - I swear I didn't plan this picture with Rocky III scene where Rocky is running on the beach with Apollo training for Clubber Lang. 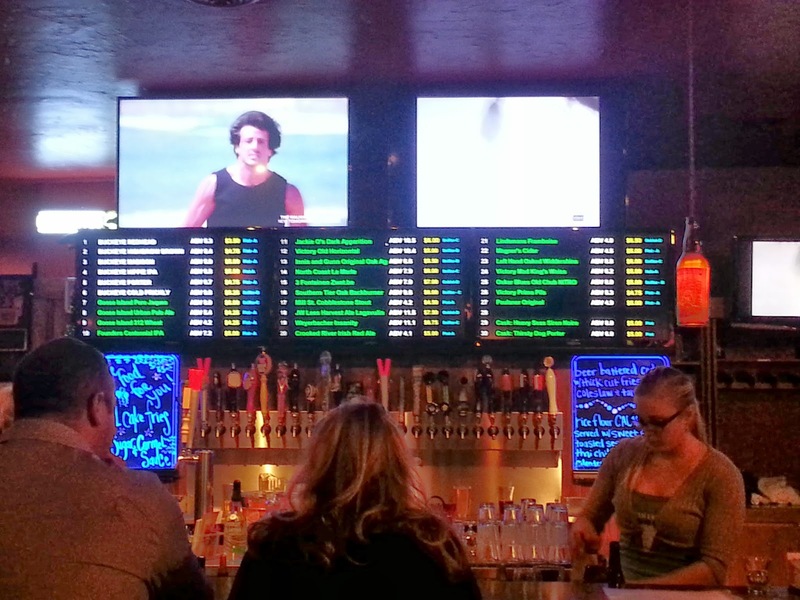 As for the beer, there are tons of choices from their "big board", which is 4 flat screen TVs that list 30-40 beers all on tap, not to mention a robust selection of bottles. Their list represents a beer selection that is local and also expands nationally, with choices from Great Lakes, Founders and Rogue. I went with a couple of Buckeye Beer Engine brews.